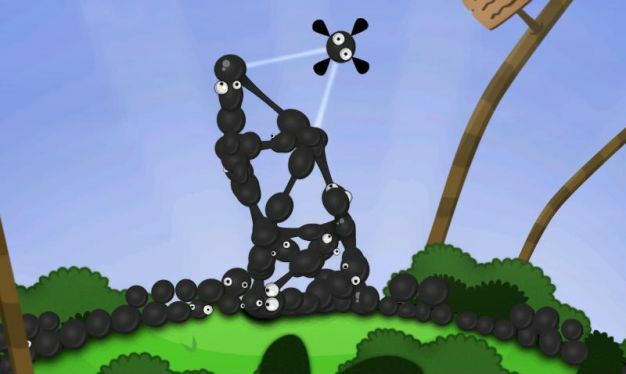 If you’ve had your eyes firmly stuck to the internet feeds, you may have seen the awesome looking, physics-based puzzle/platformer World of Goo made its way out into the world via WiiWare and PC on Monday. If you’ve felt the gaming tingle from the trailer, been waiting to play but can’t afford the full thing or are trying to overcome a phobia of gooey objects that may have seduced a member of your family, thus tearing the beautiful foundation apart, you’ll be happy to hear the developer, 2D Boy, has made a demo available for the PC. Stop reading these ridiculous words and go get it! Even if you had no interest before, it’s free and you should play it then come back here to let me know what I’m missing.